The Cradle – The Cradle is the Zenith of love. Jesus was born in a human manger to common parents by human standards. The Cross – The Cross is the Pinnacle of sacrifice. Jesus was born under the shadow of the cross. In that shadow He learned to walk, talk, live and die. The Crown – The Crown is the Climax of Sovereignty. 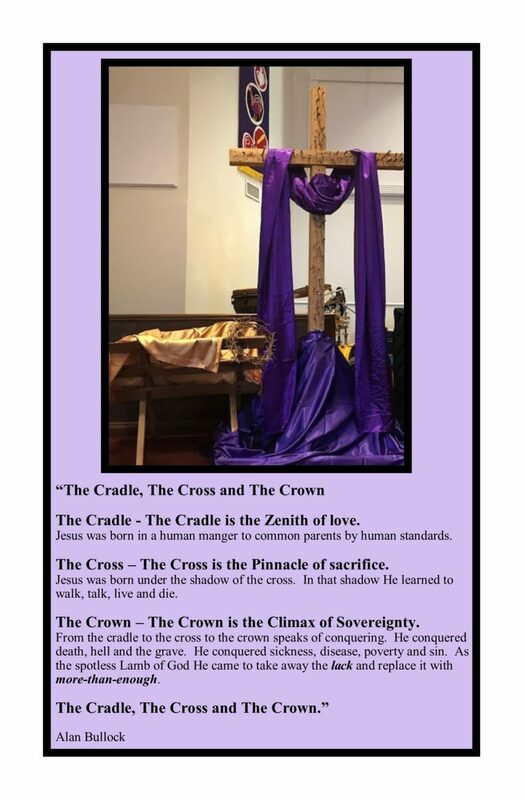 From the cradle to the cross to the crown speaks of conquering. He conquered death, hell and the grave. He conquered sickness, disease, poverty and sin. As the spotless Lamb of God He came to take away the lack and replace it with more-than-enough.